We want to share with you that historically marginalized people in Kinigi Sector are working so hard to change their attitude and lives through agriculture activities. 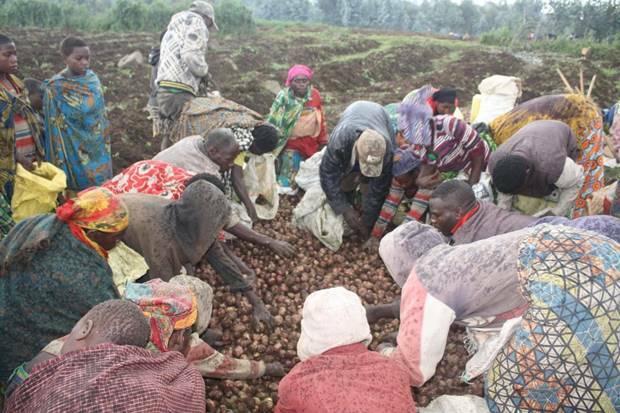 Photo below show potatoes harvested in their second term by their cooperative. It is very lovely and encouraging to watch every member in the cooperative collecting potatoes for his/her family. Each member given kilos depending on days he/she worked in their garden up to the harvest day. This is the work of Transformational Ministries to help Historically Marginalized People; It is a joy to serve them. 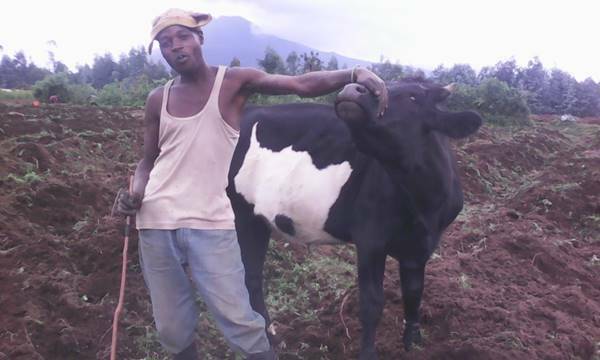 We have also given a fourth cow to Ruzi’s family to encourage historically marginalized to change their livelihood and of beginning to use their knowledge and hands to benefit in cow project (Girinka) like any Rwandese. So far, Transformational Ministries gave four cows to four families. Two of them produced: one a calf which would be passed on to another family, another cow produced a bull. Family members are drinking milk and some milk is being sold to their neighbors. We are rejoicing in seeing historically marginalized people taking responsibility to work for the betterment of their families.